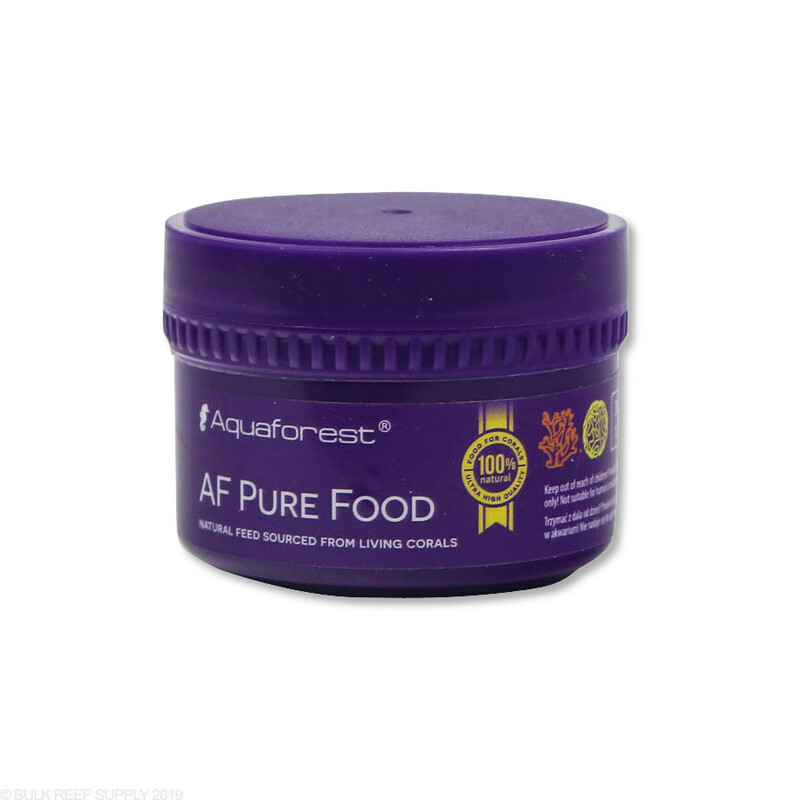 AF Pure Food is 100% natural and is engineered from the tissues of corals and the foods they feed upon. The food will help with proper growth and development of corals, aid in calcification while stabilizing the pH of your aquarium. 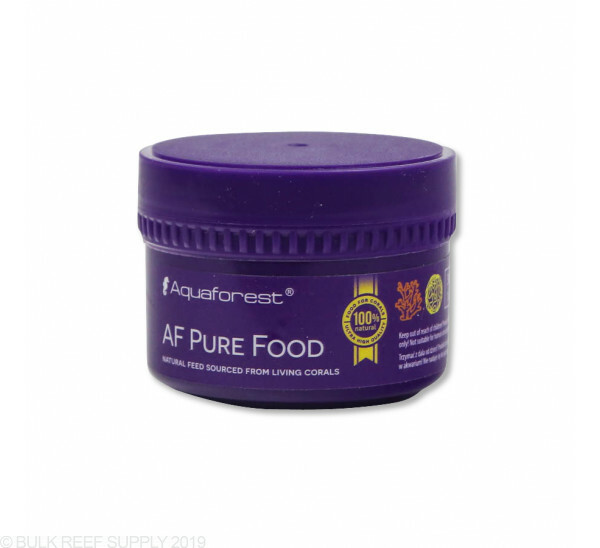 Prepare a small container and fill it with 20 mL (4 tsp) of aquarium water, and add a small amount of AF Pure Food to the container and let it soak for 5 minutes. Add a small amount of the mixture to your aquarium monitoring your coral's response. After a few mi, utes polyp extension should be visible and the remaining mixture can either be used with a broadcast or target feeding method. We suggest target feeding AF Pure Food at night or when the lights are off.